The last time we moved, we had 2 weeks between move-in day and our daughter K’s birthday party. The moving truck was scheduled at 8am on March 4th, and by March 18th guests would be showing up for her party at 1:45. No pressure. 14 days to get moved, unpacked, the house clean, organized and decorated. No problem! By March 7th – a mere 3 days later, the house was completely moved and unpacked. How did we do it?! With these favorite moving tips I’m about to share with you! I’m basically a pro now. Kevin and I realized that this time last year when we celebrated K’s birthday, it was two houses ago. I guess you could say we move a lot. 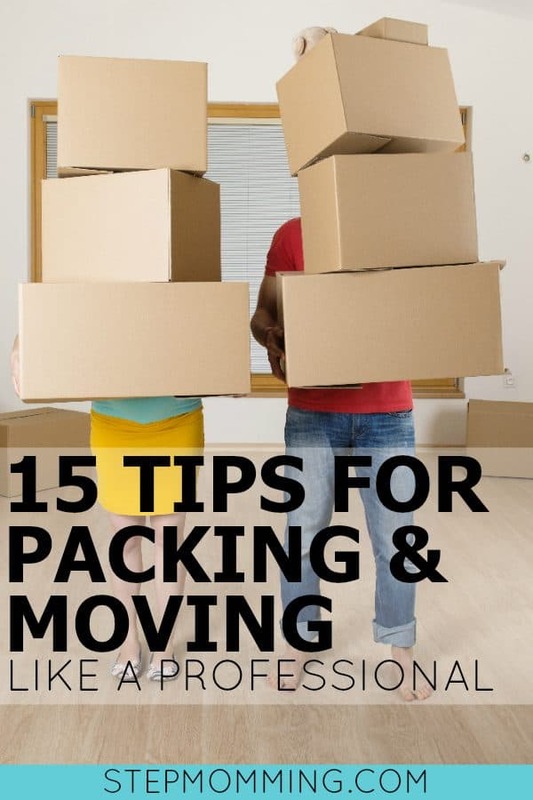 15 Tips to Help You Move Like a Pro! 1. 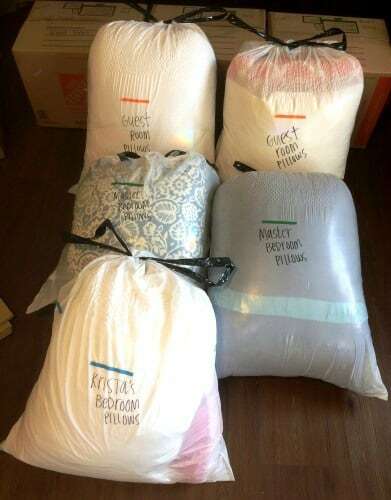 Pack pillows in trash bags. Each standard kitchen sized trash bag can hold 2 regular pillows or 3 throw pillows. These are great to use as cushion between furniture! Plus, they’ll greatly reduce your back and forth time between the house and the truck. 2. Color code & number your rooms. I grabbed these inexpensive colored tapes from Amazon and started color-coordinating my rooms. I’d pack up a box, seal it, then add the colored tape to each visible side of the box so it was easy to see which room the box belonged in. It might sound over the top, but it helped TREMENDOUSLY when it was time to bring the boxes into the new house from the truck. I could easily stand on the sidelines and direct boxes to their appropriate room. I also numbered the rooms and boxes to ensure I wasn’t missing anything at the new house. So when box 804 went missing from the Kitchen, I immediately knew to walk around to the other rooms to locate it. 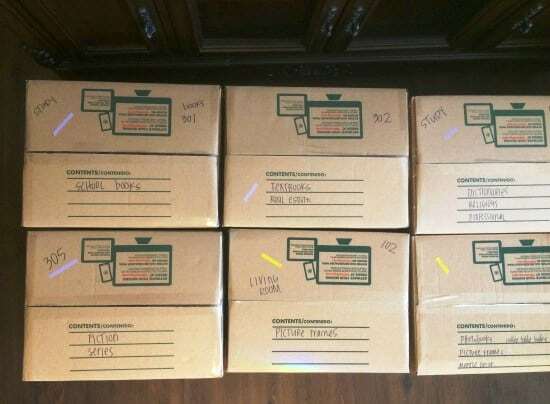 I used a shoebox and wrote on the sides which room coordinated with which color, and any time I needed to wrap up a box, it was easy to spot the packing supplies. Having the key written on the outside of the box really helped me too since I didn’t have to reference my sheet each time. Post on the Facebook marketplace, garage sale groups, or Next Door app that you’re looking for moving boxes, and you’ll get plenty of them for free. If for some reason you still need more, hit up your local liquor store (for boxes… not liquid courage. Well, maybe that too.). They always have plenty extra, and they’re sturdy because they’re built for heavy bottles. We ordered this cheap paper to use for wrapping our fragile items, and there was so much that we’ve been able to stretch it 3+ moves (and counting!). It doesn’t leave print residue like normal newspaper, and it’s half the price of official packing paper! This method is SO easy. It requires very little time and absorbs the impact from the truck hitting bumps or anything else that could shift the box. 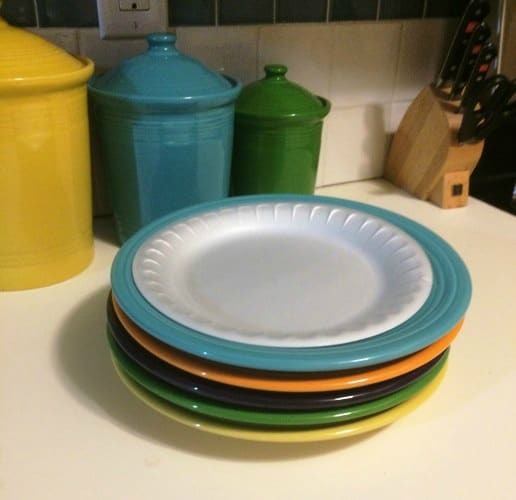 PLUS, you can use the styrofoam plates before and after the move to minimize dirty dishes as you transition houses. Total win! 8. 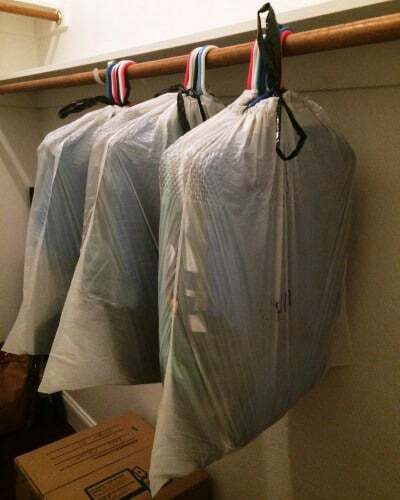 Pack hanging clothes in trash bags. Wrap your clothes hanging in closets in a trashbag and tie the top of the bag over the hangers before carrying them over to the car. This saves you SO. MUCH. TIME. since you have eliminated the need to take off the hanger, fold, pack, unpack, unfold, and rehang. All you have to do is hang the bag up in the new closet and rip the bag off. Easy-peasy. 9. Have new furniture delivered to the new house. If you’re planning on getting new furniture pieces in your new home, have the furniture store deliver it straight to the new house! We sold our bedroom set and had someone pick it up from the old house before we moved. Then we had the new one delivered directly to the new house. It saved us time and effort – I highly recommend it! 10. Pack a first night box. Pack sheets, towels, toiletries, toilet paper, and Lysol wipes in a first night box. Anything you’d need for your first night in your new home, pack it in this box! The last thing you want is the headache of searching for that one item you just can’t find anywhere! All of the essentials should be in that one box, transported in your car directly to your next house, for easy locating your first night in your new home. 11. Pack in waves to avoid burnout. If you avoid packing the entire house at one time, you’ll actually get through it faster. Instead of packing the entire house in one concerted effort, choose to focus on different rooms in phases. You’ll be mixing things up enough to stay focused and not get stuck in a less-productive rut. Each time we’ve moved houses, we’ve been stuck with the same conundrum. We don’t have the TV box! And movers will not move a TV without the original box. So what do we do? We grab the comforter off of our bed and wrap the TV in it. Then we put the TV on the floorboard of the backseat when we drive our car over to the new home. The screen is protected by the bedspread, we are wholly responsibly for the TV, and we have a convenient way of getting our comforter to the new house! Win-win-win! Instead of disassembling and packing lamps in boxes, I put them on the floorboard of the passenger seat of each of our cars. They stay safe and sound with little movement, and it rids me of tedious reassembling at the new house. Plus, instant extra light sources for that first night in your new home! 14. Don’t be afraid to ask for help. There’s no way I could have moved into my last home as quickly as I did without the help of our family. Grandma and GiGi (my mother-in-law and grandma-in-law) took over K’s room and unpacked her toys, hung up décor, and made her bed for her. She had been at Mommy’s house for most of the day, but when she got home that first night, she was SO excited to see her entire room was already done. My sister-in-law was also extraordinarily instrumental in getting everything unpacked and organized in those crucial first few days. 15. Finally, I highly recommend using the Moving Van app. Bonus Tip: Don’t Forget to Update Your Address… EVERYWHERE! In the last 5 years, I have had 7 addresses. I’ve had to update my address many more times than anyone else I know, SO my loss is your gain! 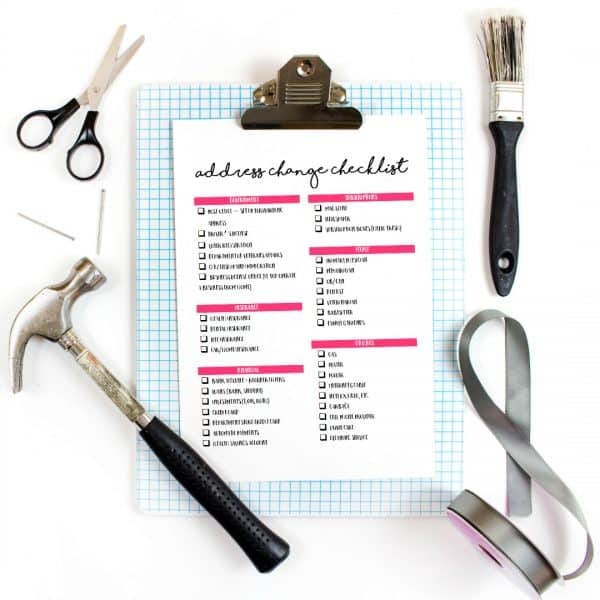 I’ve typed up my own address change checklist and put it in a pretty format just for you! I’m all about efficiency and working smarter, not harder. Therefore, let’s avoid reinventing the wheel and help each other out! 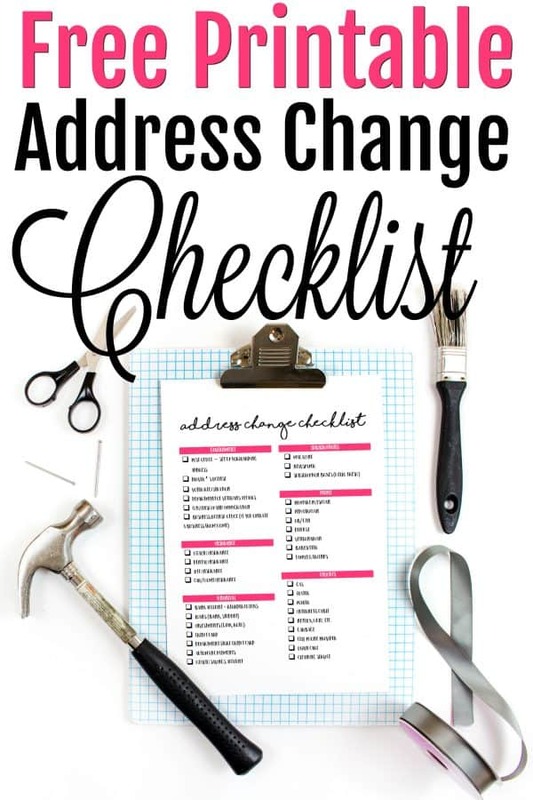 Subscribe to Get Your FREE Address Change Checklist! Exclusive for Stepmomming subscribers, an address change checklist sent directly to your inbox! In fact, when you subscribe, you’ll get access to ALL of our freebies! Best of luck with your move and CONGRATULATIONS on your new home! Awesome Post! Kristin Those are some serious pro moving tips especially tip 7 packing plates with styrofoam. I am recently moving so this is just what I needed. So, me and my team of local movers would try these tips at our convenience. Keep sharing similar posts like these. Thanks, Brian! So glad you found value in my tips! 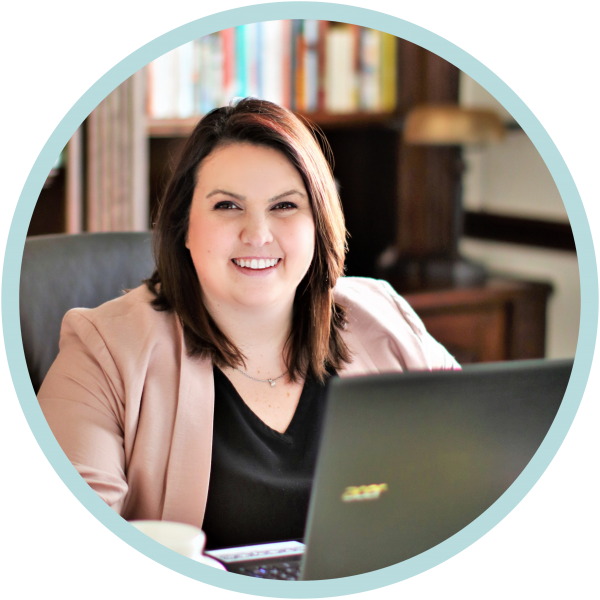 Hey, Kristen, you have written a wonderful blog. You have shared awesome ideas. Your ideas are cost-efficient. Moving really is a hassle! thank you so much for sharing this to us! New mom to a newborn, with 3 step kiddos aged 7-11, and about to move!! This post has provided confidence that I can do it without losing any additional sleep. Thank you so much, looking forward to subscribing for future tips! I am planning on moving after the holidays. I liked that you pointed out that it might be a good idea for me to ask for help when moving. Personally, I would rather hire professional movers to help me. Mainly because I wouldn’t want to bother my family members.